RESPECT. EMPOWER. BE A ROLE MODEL. The most shocking part of our interview was when she mentioned that she wants to empower others even though she’s faced nasty comments from people that she knows. I find it extremely inspiring that Abby pushes through the negativity to shine though. Abby stands up to be a role model. Jenny A. (me): What is your hardest challenge as a teen model? Abby-Leigh: The negativity I get from the other boys and girls. Sometimes they try to bring me down. I want to be comfortable in my own skin and lift people up. People say things about me – they call me names and make comments about my glasses. I’ve also gotten nasty messages which I have had to block or delete. Sometimes the nasty messages are from people I know. That’s the hardest part. Sometimes it’s from strangers. They are just doing it for a reaction. Me: How do you deal with the negativity? Abby: At first, it gets to me but then it makes me stronger and keeps me going. It makes me want to model more. Don’t let anyone get you down. Follow your dreams. Me: Who is your role model? Abby: I have a lot of role models but, my # 1 role model is my mom. She’s my best friend. She’s amazing and does everything. We talk about everything and even watch Prison Break together! Me: Do you have a motto that you live your life by? Abby: You can’t blame society when you are society. Younger girls look up to me. I want to give them power even though there are times when I feel like I have lost mine. Me: You’ve spoken about beauty on Instagram, what does beauty mean to you? Abby: It’s not about looks, it’s about personality. Beauty in the inside, not on the outside. Being nice doesn’t cost anything. Me: You’re a model for Izzy Be Clothing. Tell us a little about the brand! Abby: I love Izzy Be Clothing. It empowers girls. It lifts girls up and gives them a voice. I want to do that too. Me: What has been your favorite modeling experience? Abby: The time when a big crowd of people arrived for my photo shoot! It was outside and I was wearing a beautiful evening gown. I was so shocked that they all came! Me: When you’re not modeling, what do you enjoy doing? Abby: I love reading and writing. I’m also a gamer girl. I like playing Fortnite. Sometimes people call me a tomboy and sometimes they say I’m a girly girl. I say, I’m both. Linda: What do you hope for your future? Do you have a goal? Abby: I want to be a really big model like Victoria’s Secret models Gigi Hadid and Kendall Jenner. Me: If you could be a fruit or a vegetable, which fruit or vegetable would you be? Abby: I would be a pineapple just like the quote “Be a pineapple. Stand tall, wear a crown, and be sweet on the inside.” Everyone should be a pineapple. I want to hear from you! Who is your role model? Share your thoughts in the comments below! Raven (AKA Rae) is an international model from the UK who loves to dance! When she isn’t modeling, she’s dancing. She does contemporary dancing, street dancing and technical dancing. When I asked her what her hardest challenge was, I was a bit shocked. She said her hardest challenge was ignoring the negative comments she gets because of who she is…a model. Some of the girls in her school have said a lot of negative comments. They’ve said things like “we’re fed up with what you do,” “you make everyone so depressed,” and “you think that you’re better than everyone else.” I was really sad to hear that Rae had lost a lot of friends because of it. While she has had some issues at school, she gets along with the girls who she dances with at the Constellations Dance Company. “They’re really supportive and are like my family. They’re always supporting me.” The dance studio is like her second home. Her favorite animated character is Moana because she didn’t give up on her dream even though she goes through so many challenges. At the end of the movie, Moana manages to follow her dreams. Like Moana, Rae also has a dream. Rae dreams of one day becoming a Victoria’s Secret model. Rae’s craziest modeling moment was during her first catwalk in New York. She couldn’t get her dress to zip up! She had to squeeze in and basically not breathe while walking down the runway. Question from Ron A. : What is a normal day for you like when you’re not modeling? One of Rae’s favorite things about the winter is spending the holidays with her family. She’s very close to her family and adores watching Christmas movies with them. Her top Christmas movies are The Polar Express and Miracle on 34th Street. She also likes spending the winter months going ice skating. Since it’s the beginning of the year, I had to ask her what her New Years Resolution is. Her New Years Resolution is to start working out. She’s going to start doing some sit-ups and dance more often. Thanks for reading! I want to hear from you! What is your dream? 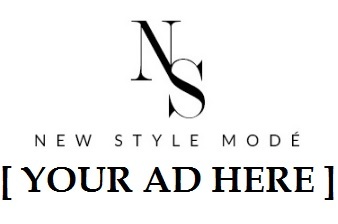 Be sure to subscribe to my blog and follow my blog’s Instagram @newstylemode. You can follow Rae on Instagram @_ravenfarrington13. Jenny A. (Me): Do you have a favorite supermodel that you look up to? Sophie Levine: Tyra Banks. She has an incredible look and she’s dynamic! She’s soft in photo-shoots and then fierce on the runway. Me: If there was one designer you could model for, anyone in the world, who would it be? Sophie Levine: Dolce & Gabbana or Louis Vuitton. Me: When you’re not dressed in high end designer fashion, what are you normally wearing? What is your style? Sophie Levine: A leather jacket, punk rock shirt, and leggings or denim trousers. I have a rock ‘n’ roll look. Me: Do you wear makeup on the daily? Sophie Levine: I don’t wear too much but when I do, I’ll wear eyeliner, mascara and occasionally lipstick. Me: What are you favorite makeup brands? Me: What are your hobbies? Please explain. Sophie Levine: I play lacrosse, tennis, netball and I love horseback riding. I’m very sporty. I have 2 horses and I love cross country jumping. My mom was a show jumper and now I’m a show jumper. I ride both Western & English. Me: Are you adventurous? What’s the craziest thing you’ve ever done that you’re willing to have posted on my blog? Sophie Levine: I’m not really adventurous although I did go to the Cannes without speaking a word of French. I loved it! Me: If you could be a fruit or vegetable, what fruit or vegetable would you be? And why? Sophie Levine: Celery because it’s long, slim and incredibly tough. I won’t show when I’m hurt and won’t cry in front of people. I still got a goal when I injured my pinky during my netball game. I went to America for a lacrosse game. I was hit on the head 5 times and the last time I got hit, I put my finger in the air and said “I’m good”. I’m surprised I didn’t get a concussion! Now I understand why girls wear goggles. In England, you don’t have to wear them. I’m also protective. If I see a girl walking on her own and a guy is following, I’ll walk with the girl to make sure she’s okay. I’m very anti-violent. I always try to stop fights and sort them out. Me: What is something that people don’t know about you that you are willing to share? Sophie Levine: People think I am a confident person. But if I meet a cute guy, I get very nervous. Me: What are your goals and dreams? Sophie Levine: To become an actor and a model – I want to do film. I’ve done theater and a few student films. I would love to do an old time war… maybe with swords! Did you know that I can sword fight? I actually started out fencing.